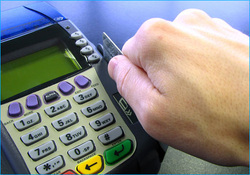 We are pleased to accept all major Credit Card and your good personal check as forms of payment on Account for services. If you prefer to make payment by Credit card you must acknowledge our HIPAA and Financial Policies below and Accept the terms by clicking the button at the end of the disclaimer. You will then be directed to our secure Web Payment portal to conduct the transaction. 1st Line Medical, Inc. is dedicated to maintaining the privacy of your healthcare information and we are required by law to maintain the confidentiality of information that identifies you. Any use of healthcare information beyond the uses described below requires your individual written authorization. The Health Insurance Portability and Accountability Act (HIPAA) obligates us to provide you with a copy of our Privacy Notice, outlining our privacy practices and how we safeguard your health information. We abide by the terms of the Privacy Notice currently in effect, and reserve the right to revise or amend the notice, as needed. In order to determine your eligibility for services, we will contact your insurance company and disclose healthcare related information. Also, we may bill you or a third-party payer for services that you receive from our company. The health information that identifies you, your diagnosis, equipment, and supplies may be included on this bill. 1st Line Medical, Inc. will make every effort to bill your insurance company directly. You are responsible for full payment for services rendered by us. Any charges not covered by your insurance company, including co-payments, deductibles, non-covered services, and out-of-network services will be your responsibility except where not allowed by law. It is your responsibility to know the requirements of your health plan. In the event of a denial of any insurance billed, you will be responsible for all fees charged. If you receive any services at 1st Line Medical, Inc. and the fees are denied because you did not obtain prior authorization from your primary care physician, you will be personally responsible for those fees. We will use your health information for healthcare operations. We may use your health information to evaluate the quality of care you receive from us, to conduct cost management assessments, and to plan business activities. This information is used in an effort to continually improve the quality and effectiveness of the healthcare services we provide. Business Associates: There are some individuals who are under contract with us and, from time to time, are engaged in the improvement or financial enhancement of our business. So that your health information is protected, however, we require any business associate to appropriately safeguard your information. • Accommodate reasonable requests you may have to communicate health information by alternative means. Should our information practices change, we will mail a revised notice to your address on file. We will not use or disclose your health information without your authorization, except for treatment, payment, and healthcare operations. Information obtained by our company will be documented in your healthcare record and will be used to provide you with healthcare related services. The prescription that your physician has ordered will be part of the record and will determine the equipment and supplies that you receive.